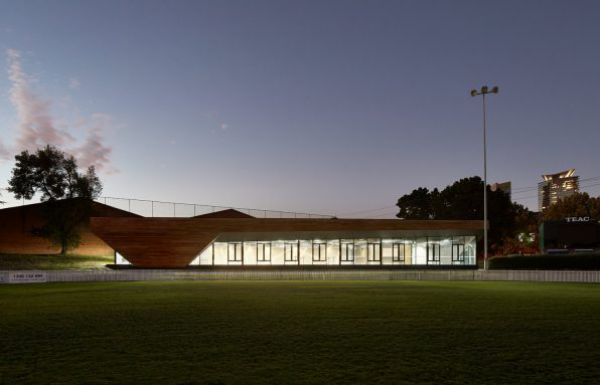 This sports facility and cultural hub for Port Melbourne Football Club was completed in 2015. It includes new administration facilities as well as three corporate event and function rooms and a bar capacity for 200 people, and a commercial catering kitchen. The project was jointly funded by AFL, AFL Victoria and Sports & Recreation Victoria, and was delivered within a tightly controlled fixed budget. 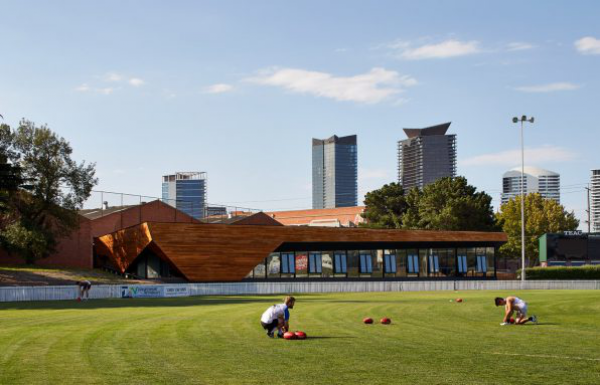 The new architecturally designed building is located off Ingles Street at the northern end of the ground and provides a focus for the Port Melbourne Football Club administration services. The building also incorporates a large function room, two smaller meeting rooms and will be linked back to the Norm Goss Stand via an accessible pathway. The facility has been selected by Peter Rowlands Event group as part of its range of venues, and now generates substantial economic benefit to the football club and the community. 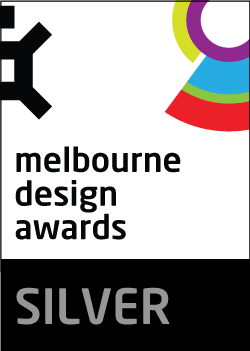 The building was designed and delivered for $2,400/sqm, an impressive construction efficiency rate that was achieved through a number of innovations, including open trussed ceiling, an open ceiling grid system incorporating customised lighting, perforated feature panels which doubled as acoustic treatments and the use of off the shelf items wherever possible. 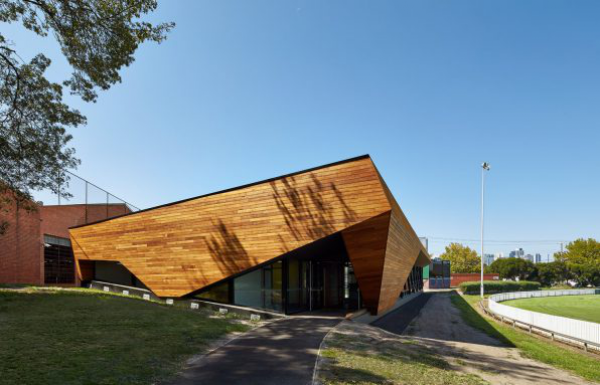 Timber was used throughout, and the cladding systems were designed to provide cost effective outcomes using standard off the shelf locally sourced materials and components. ESD initiatives included sustainably sourced timber, high levels of local content and local labour, low energy light fittings, sustainable plywood linings and extensive use of plywood in place of plasterboard. Contaminated soil on the site was blended to clean fill status and reused, thus diverting landfill impacts and reducing the costs of relocating contaminated soil. All healthy trees were retained, and those trees which were assessed as unhealthy by the council arborist where removed and each was replaced with seven new trees planted across the site. The project achieved an exemplar rating using the STEPS score card. Further ESD initiatives included incorporating underground rain water tanks for toilet cisterns and landscape irrigation, solar hot water units, exhaust systems with makeup air, low energy and high performing mechanical supply air conditioning systems. The building is highly insulated and double glazed, exceeding minimum standards. Sustainably sourced materials included modular carpet tiles with 90% post consumer content backing, certified by CRI Green Label Plus, and engineered timber flooring with low maintenance and low VOC coating suited to chemical free cleaners.